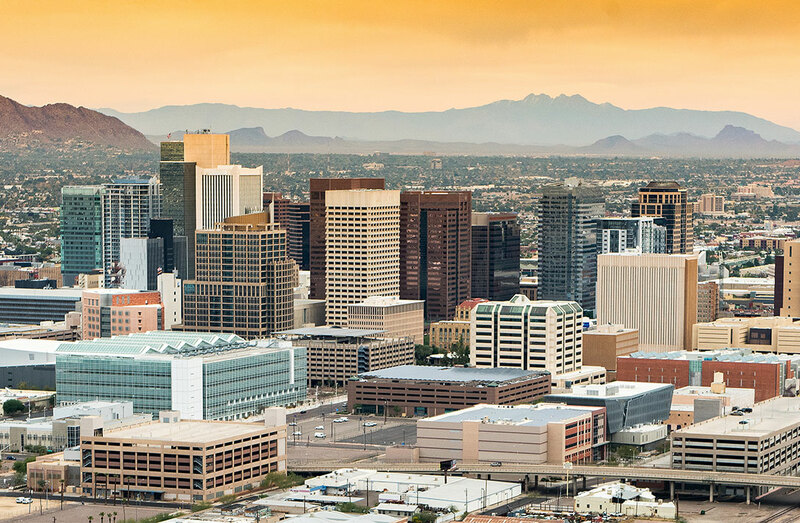 The City of Phoenix, Arizona owns and operates a fleet of more than 7,300 vehicles, ranging from small electric cars to fire trucks and D9 bulldozers. Developing budgets and charge-back models for this large and diverse fleet is the job of Gregg Duckett, Public Works Operations Manager, who also oversees the purchase and distribution of a wide variety of fuels, parts and a multitude of other items essential to fleet operations. 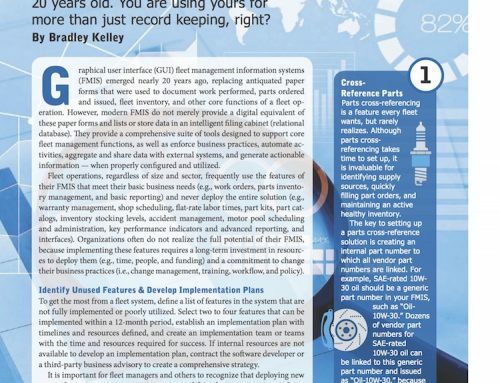 Over the past six years, Mercury Associates has become a trusted partner in this endeavor. 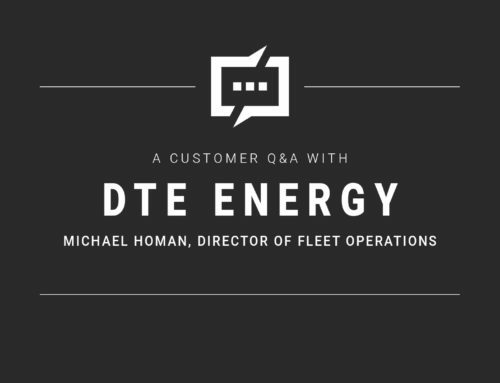 In this case study, Duckett shares how Mercury helps his fleet stay on the right path. Mercury’s relationship with the City of Phoenix began in 2012, when the company was selected to conduct a fleet cost charge-back rate review for the Department of Public Works Equipment Management Division. Almost immediately after project start-up, the City decided to expand the scope of Mercury’s services to include the development and implementation of the new rate model and rates, which were implemented in 2013. “In 2015, we again selected Mercury to do an alternative fuel vehicle feasibility study focusing on the City’s fleet of 5,000 light and medium-duty vehicles,” said Duckett. “The study identified the incremental costs and environmental impacts of replacing gasoline-powered vehicles with E-85 vehicles, electric vehicles and plug-in hybrid electric vehicles. Mercury was awarded each contract through an open bid process in which their expertise, experience and understanding of the government fleet business made them stand out. In 2017, the City further expanded the scope of Mercury’s project, asking consultants to develop a detailed fleet replacement analysis and a business case for modernizing the light-duty component of the City’s fleet. This analysis involved determining the total cost of ownership of these vehicles under current and recommended replacement funding levels. 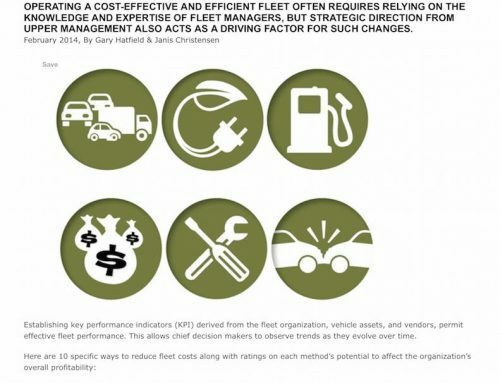 Strong proponents of cost transparency and ownership control, Mercury consultants believe that fleet managers cannot effectively manage costs that they cannot see or understand, and for which there is a lack of accountability. “Mercury broke the project down into manageable stages, beginning with a vehicle replacement plan that would produce the greatest savings in operating and maintenance costs, while reducing emissions,” Duckett explained. “They also outlined a number of options for acquiring new equipment, including leasing, which makes a great deal of sense when you’re looking at things like fire trucks. “They understand how government works,” he continued. “In the private sector, a business can go out and take loans to purchase new vehicles, but our funding is dictated by our tax base. Even if our city is growing, it can take a couple of years before we see increases in our budgets. Mercury understands that. 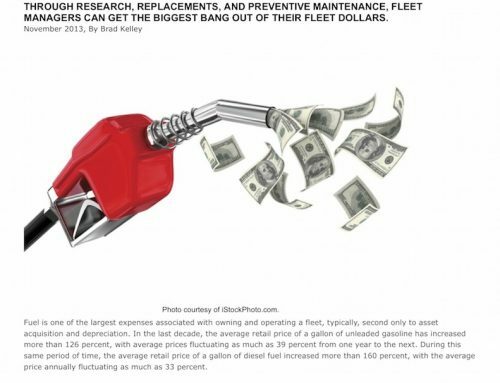 fleet operating and maintenance costs and increasing used vehicle residual values. 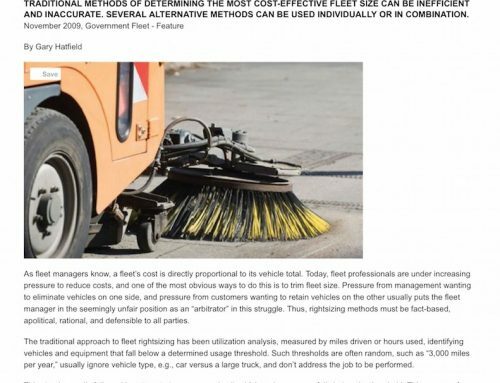 The study resulted in the City’s Finance Director agreeing to implement a plan for increasing fleet replacement funding levels fourfold over the next decade. Mercury consultants compared their findings with that of other governmental agencies and offered multiple solutions to each area of concern. One example is the alternative fuel project. “Electric cars have generated a great deal of buzz and we originally looked at purchasing more electric vehicles,” Duckett explained. “What the Mercury study showed us, is that while electric cars are great, we have a fleet of older vehicles and a more frequent replacement schedule would produce the greatest benefits. They showed us that the best way to proceed was to break down what fuels are best for each class of vehicle and match the fuel with the application and duty cycle of each.